The Magpul Lower Build Kit from Black Rifle Depot is everything you need to complete your lower build project. 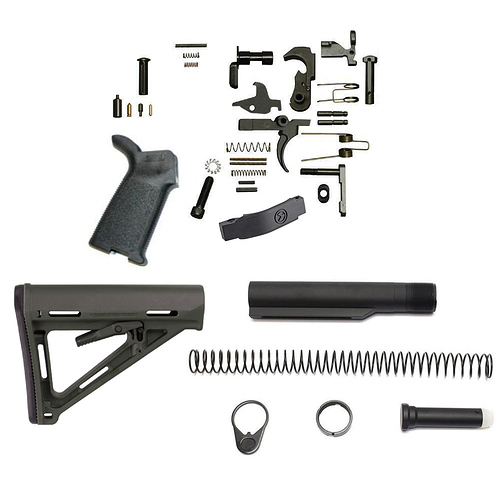 The Magpul Lower Build Kit includes a complete mil spec lower parts kit, m4 buffer assembly, Magpul MOE stock, Magpul MOE grip and Magul MOE polymer trigger guard. The Magpul MOE Lower Build Kit is has been tested and throughout the industry and is backed with a lifetime warranty.